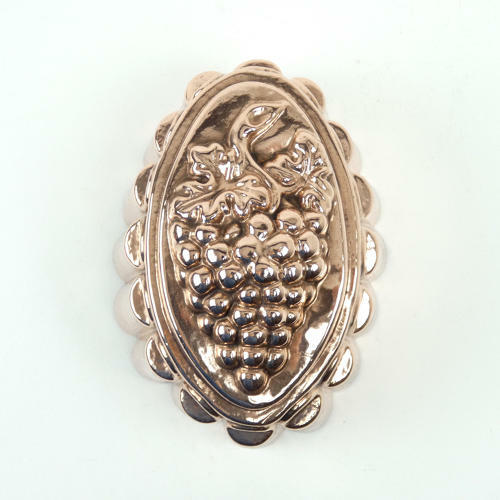 A good quality, Victorian copper mould with a grape design to the top. This mould is English and it dates from c.1870. It is marked with the orb and cross symbol used by Benhams, and the pattern number '1A' . To the opposite end is a workman's mark in the shape of a cross. Benhams were one of the leading manufacturers of copper kitchen ware in the Victorian period. This mould is well made, from a heavy gauge of copper. The design to the top is very well modelled and well detailed. It is in excellent condition but the tinning, to the interior is worn.